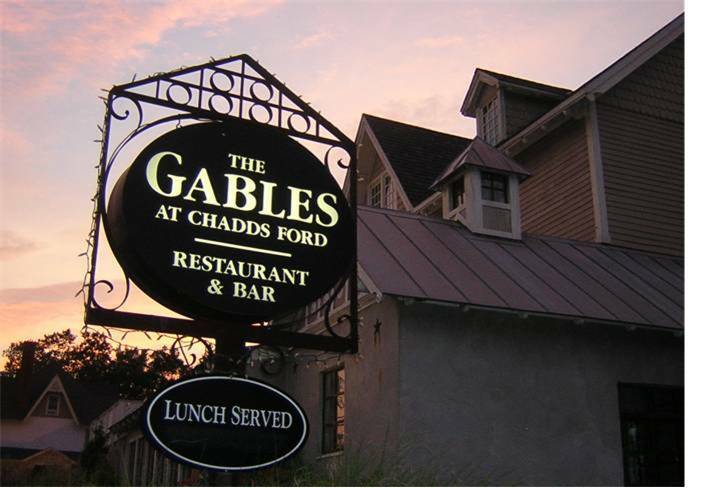 The Gables at Chadds Ford is a great dining choice when visiting the attractions in the Chadds Ford PA area. 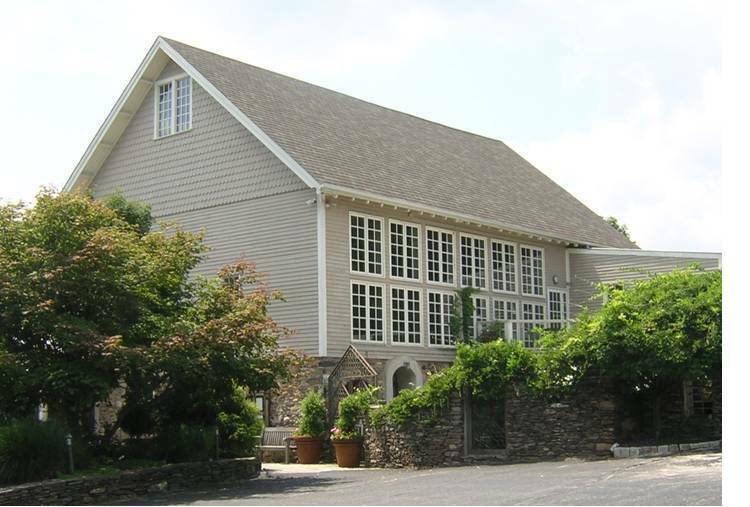 The Gables at Chadds Ford is located on Route 1 in Pennsbury Township Chester County just moments west of Chadds Ford and the Brandywine River Museum and several miles east of Longwood Gardens. This location provides immediate access from Kennett Square, West Chester, and Wilmington and is convenient to much of the area from Route 1, Route 52, and Route 202. 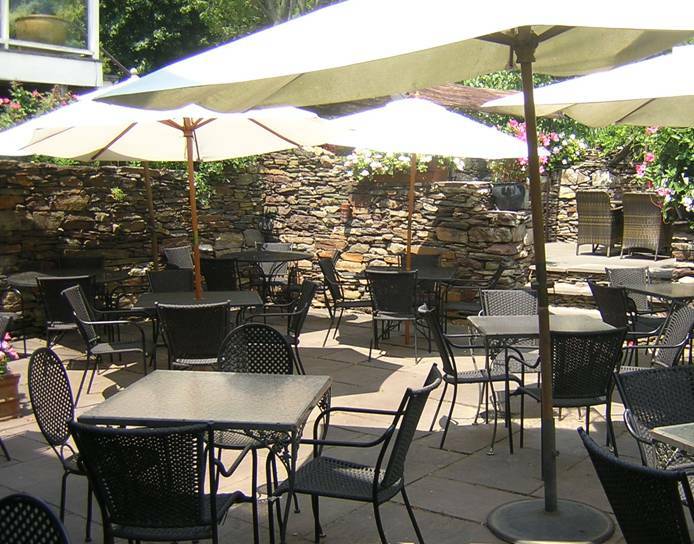 Established in 1997, the restaurant is situated in the restored barn on one of the oldest farms in the area. The name pays honor to both the barn itself and the original home. The home was first constructed in 1745 but remodeled in the late 1800s in the Victorian style including the addition of 23 gables. T he barn housing the current restaurant was built in 1897. It has gone through several uses culminating in its present role as a fine dining experience. The Gables has a strong history and great reputation. Jack McFadden is the current proprietor and has been involved in several well known restaurants in the area. We recently had the opportunity to stop by and enjoy dinner after visiting one of the local movie theaters. The barn itself contains a nice bar area near the entrance, white tablecloth dining, and an open air patio section located in a portion of the original foundations. The food was excellent and the service was great. We had the opportunity to try the salmon, crab cake, and filet mignon all prepared perfectly and well presented. It was particularly appreciated that the menu had a separate selection of lighter fare as well as the option to order a petit entrée of the main entrees which were well proportioned themselves. If you live in the area or are just visiting some of the local attractions, this is a great dining choice that should be added to your itinerary. They are open for lunch Tuesday through Friday and open for dinner every night except Monday beginning at 5:30 (5 on Sunday). Enjoy!